Twitter has again suspended a pro-life organization from running ads on its site only to then backpedal upon receiving questions from conservative media about their actions. 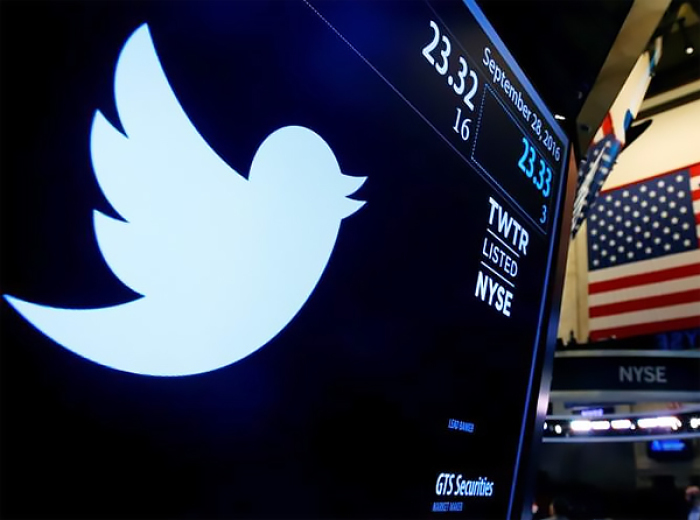 The Daily Caller reported Wednesday that they contacted Twitter after it became known that the social media giant had removed three ads from the pro-life group Human Coalition. Twitter placed the nonprofit organization's advertising privileges "under review" because they had supposedly violated the company's policy forbidding "inappropriate" content. Twitter reportedly told Human Coalition that they would be notified by email upon completion of the review. Last Thursday Human Coalition received that email informing them they were suspended from running any advertisements on Twitter. One of three ads that were moved contained messages explaining that abortion is not healthcare and intentionally killing another human being contradicts the Hippocratic oath. Another mentioned how abortion is the leading cause of death in the African-American community but almost never comes up in the national discourse about racism, and that 80 percent of Planned Parenthood clinics operate in racial minority neighborhoods. The third removed ad mentioned that Planned Parenthood aborts more than 900 babies daily and argued that there is "no moral, social, cultural, or health reason" for the abortion giant to exist. Earlier this week the Daily Caller contacted Twitter to inquire about the suspension and asked why Planned Parenthood was not banned from running ads while the Human Coalition was restricted. Only two hours after the conservative news outlet made the request, Twitter contacted Human Coalition to tell them they had lifted the suspension and that their tweets were approved. "Twitter claims to believe in 'free expression' and to think that 'every voice has the power to impact the world.' I believe Twitter does think that every voice has the power to change the world — and I believe that is exactly why they suppressed Human Coalition and others who proclaim the pro-life worldview," Human Coalition spokesperson Lauren Enriquez said in a statement. "The fact that Twitter ideologues actively suppress Human Coalition's pro-life expressions betrays their fear of how we are changing the world. And we don't plan to stop changing the world any time soon." Human Coalition is not the first pro-life group to have its content regarded as offensive and censored. Pro-life investigative group Live Action and the pro-life political action committee the Susan B. Anthony List have both tangled with Twitter for the ability to run ads containing messages opposed to abortion and Planned Parenthood. Likewise, as The Christian Post previously reported, Rep. Marsha Blackburn, a Republican from Tennessee currently vying to replace retiring Bob Corker in the U.S. Senate, faced similar issues in October. In her introductory campaign ad she highlighted her role in leading the Congressional investigation into Planned Parenthood, speaking specifically how they "stopped the sale of baby body parts—thank God." When Twitter pulled the ad they insisted she remove the Planned Parenthood reference because it was "inflammatory," but Blackburn refused and demanded an apology. Twitter ultimately relented and allowed the ad amid outcry.